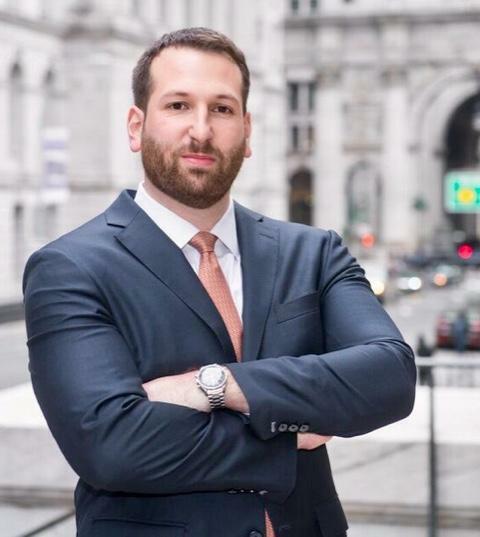 Andrew D. Weitz received his Juris Doctorate from Brooklyn Law School in 2011. He is a member of the New York and New Jersey State Bars, and is admitted to practice in the United States District Court for the Southern and Eastern Districts of the State of New York, as well as in the United States District Court of the State of New Jersey. Mr. Weitz is a member of the American Bar Association and the New York State Trial Lawyers Association. 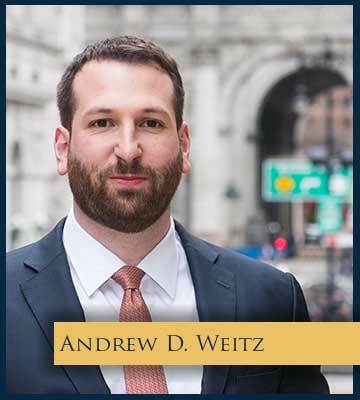 Prior to his current practice, Andrew D. Weitz was a member of the legal team that represented NYPD School Safety Agents in the federal Equal Pay Act collective action against the City of New York, Andrews v. City of New York 10-civ-2426 (SDNY). The suit was brought on behalf of the predominantly female School Safety Agents to achieve equal pay with their largely male counterparts, known as Special Officers. As a result of the litigation, more than $76 million was approved for more than 5,000 New York City families by the United States District Court for the Southern District of New York. As a partner at Berkowitz & Weitz, Andrew D. Weitz represents clients who have been injured as result of negligence, medical malpractice, premises assault and lack of security. Mr. Weitz regularly attends client depositions and appears in Court on behalf of the firm to manage cases through the discovery process and trial preparation. In addition to trying cases in Manhattan and the Bronx, Mr. Weitz has successfully briefed and argued cases before the Appellate Division of The Supreme Court of the State of New York, in both the First and Second Judicial Departments.